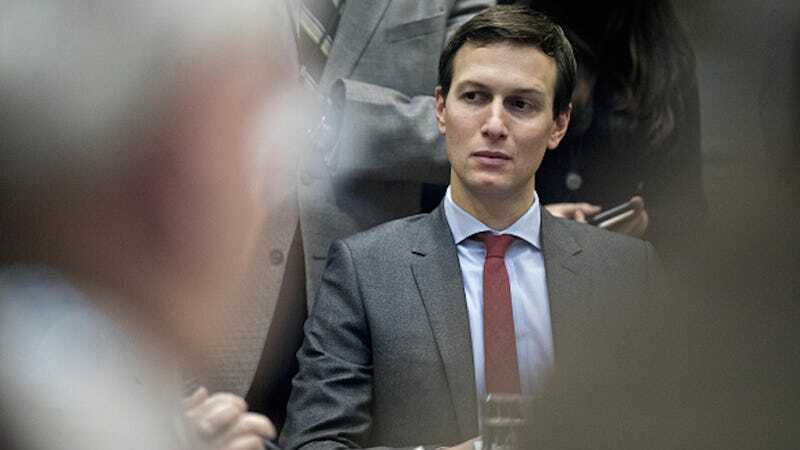 After a singularly humiliating several days, Donald Trump has unveiled another plan that is as vague as it is grandiose: a “SWAT team” led by Jared Kushner, his son-in-law and senior adviser, that will use business strategies to streamline government bureaucracy. As the Washington Post reports, this team has been christened the White House Office of American Innovation and will be comprised entirely of individuals from the private sector—former business executives, for the most part. They will operate from the West Wing and report directly to Trump. And they’ll have their hands in a bit of everything. Already the Office has met with Apple CEO Tim Cook, Microsoft’s Bill Gates, Marc Benioff from Salesforce, and Elon Musk, the founder and chief executive of Tesla. Silicon Valley, despite being largely opposed to the Trump campaign, has indicated a willingness to cooperate. The office moreover will seek solutions for opioid abuse and may even determine the privatization of certain government functions. For Kushner, this powerful position only extends the bloated influence he enjoys in the White House. He helps Trump develop both foreign and domestic policy and in personnel selection. He is also a “shadow diplomat” — that is to say, the head adviser when it comes to relations with China, Mexico, Canada, and the Middle East. The rest of the team, as Kushner boasts, possesses no direct experience with government. And while his wife, Ivanka Trump, does not have an official role within the innovation office, she too works in the West Wing and will be involved.